Bedfordshire’s county town is a leafy settlement on the River Great Ouse. 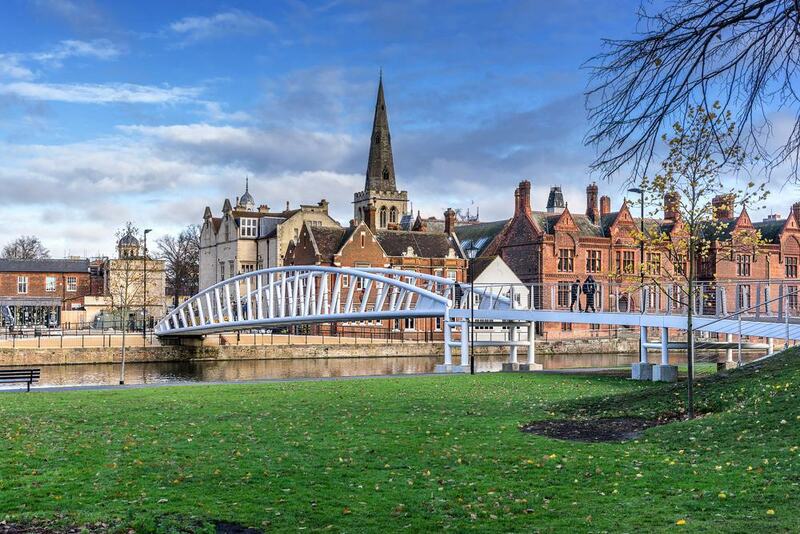 That waterway and its Victorian Embankment, gardens and Suspension Bridge all bring sophistication to the town centre. For culture and aviation history, the Higgins Art Gallery & Museum and the Shuttleworth Collection are two top-notch museums in their fields. 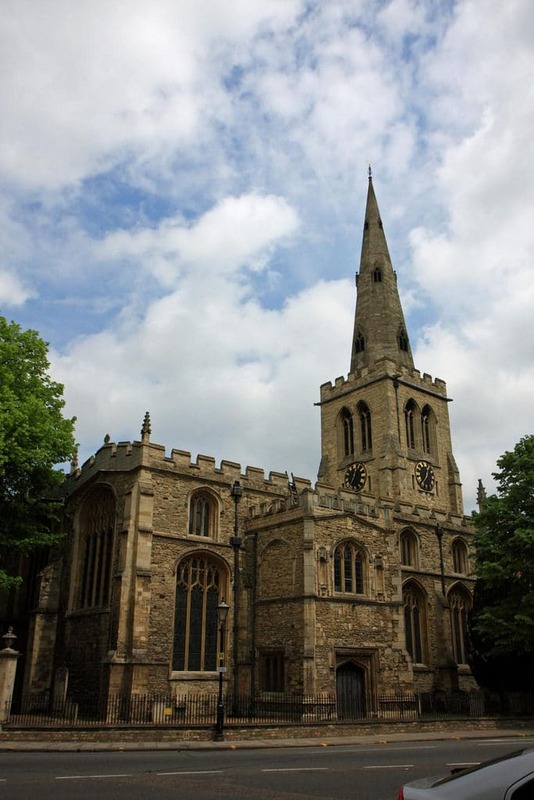 Bedford has had a history of Christian radicals, and John Bunyan, the Puritan and author of the Pilgrim’s Progress, was born here in the 17th century, later founding his church in the town centre. Post-war immigration gave Bedford a large Italian community, to the point where almost a third of the town had Italian heritage according to the last census. 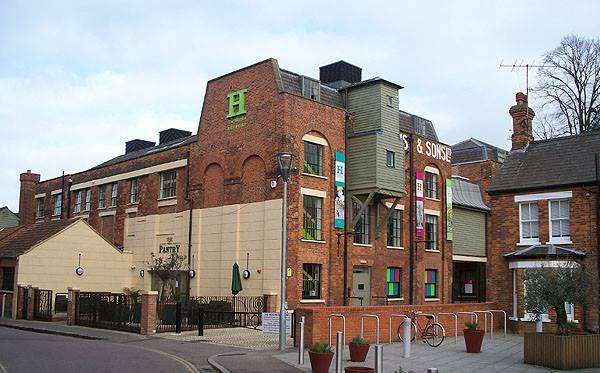 In the early 2010s Bedford’s highly-regarded town museum and art gallery was given a multimillion-pound update, joining three formerly separate buildings together. The museum was founded in 1949 by the local brewer, Cecil Higgins, presenting his collections of glass, ceramics and other applied arts to the public. Design is still at the heart of the museum, with nationally recognised collections for the Victorian Gothic Revival designer William Burges, and the 20th-century artist and designer Edward Bawden. There’s 500 years-worth of design to admire, including Irish cut glass, Meissen and Nymphenburg porcelain, enamels, furniture, metalwork and dresses. 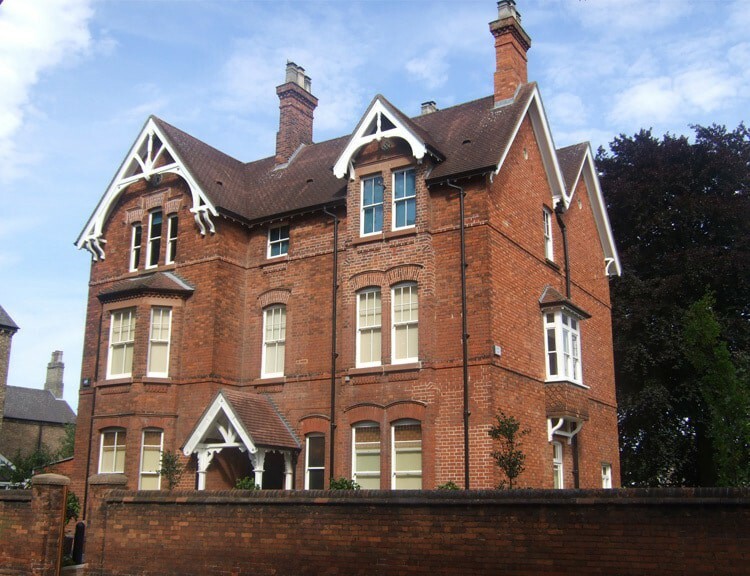 You can also take a look around Higgins’ house, replete with valuable decorative arts, and take in artefacts recording the history of Bedford and the wider county. Born in Harrowden, just south of Bedford, John Bunyan (1628-1688) was a author and Puritan preacher most famous for writing the Pilgrim’s Progress, published in 1678. This is one of the best-known Christian allegories and is claimed to be the first novel written in the English language. Bunyan’s career took off in the Puritan Interregnum, but was persecuted as a non-conformist after the Restoration, and spent 12 years in prison. 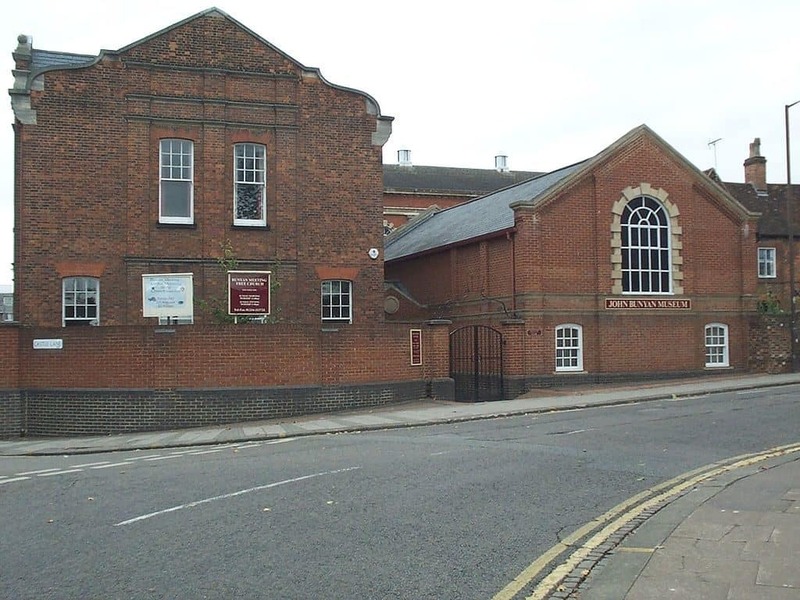 The John Bunyan Museum is within a compound on the site of a barn where Bunyan conducted services, next to the Bunyan Meeting Free Church from 1849. On show in the museum there’s a third edition of the Pilgrim’s Progress, Bunyan’s flute and iron violin, a stoneware jug from Bunyan’s prison days, as well as tableaux recreating 17th-century Bedford life. You can journey back to the dawn of aviation at this museum a few minutes away at the Old Warden Aerodrome. 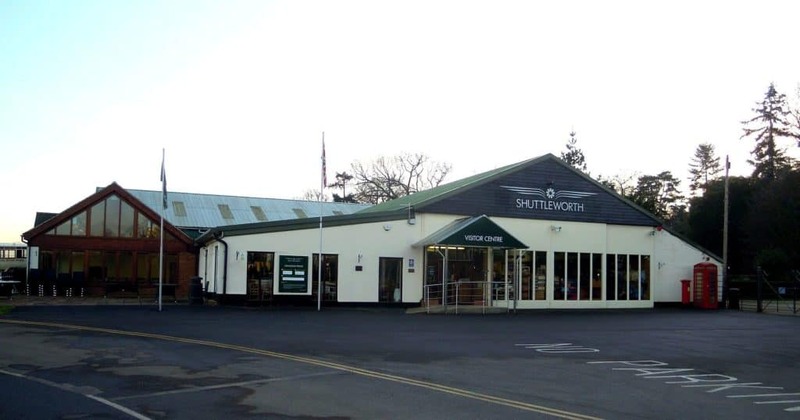 The Shuttleworth Collection was begun in 1928 by the aviator Richard Ormonde Shuttleworth, who eventually lost his life in 1940 during an RAF training exercise. There are five Edwardian (pre-First World War) aircraft in the collection, of which the oldest is the Blériot XI from 1909, six years after the Wright Brothers made their first flight. Still with its original engine, this is the oldest working aeroplane in the world. There’s also a First World War-era Briston F.2 Fighter, and the only air-worth de Havilland DH.88 Comet in the world. There’s also a fleet of early cars and motorbikes, like a 1902 Baby Peugeot, an 1899 Benz International dogcart and a Crossley 15 from 1912. 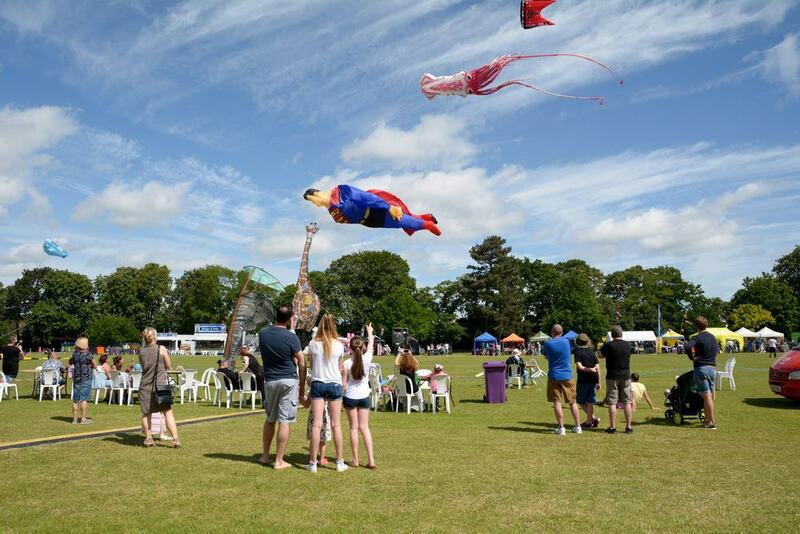 Weather-permitting, you can watch the Edwardian flying machines take to the skies at airshows from May to October. One of three parks with coveted Green Flag status, Bedford Park is the town’s largest urban park. This expanse of lawns, formal gardens, mature trees and a cricket pitch was laid out in the 19th century as Bedford grew northwards. 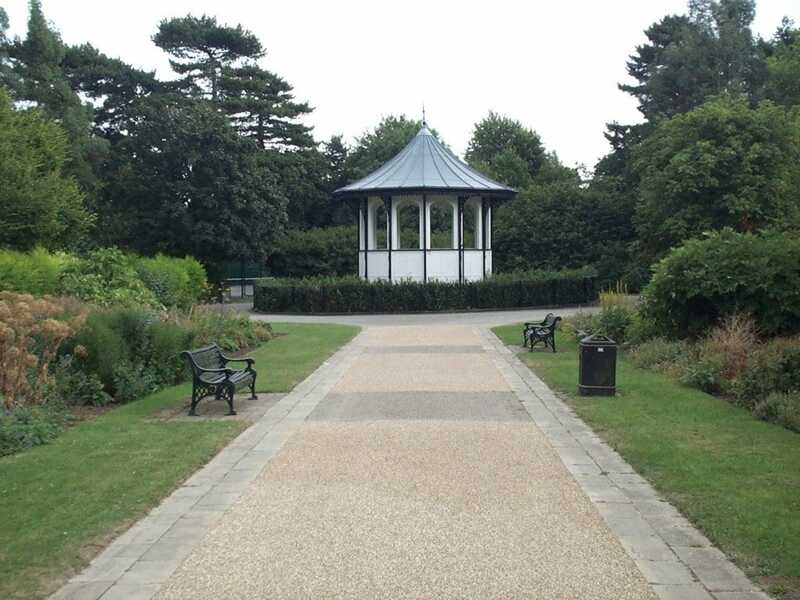 The park has retained its Victorian design, including the original bandstand with copper-clad roof, and the mock-Tudor cricket pavilion. The park is glorious in spring and summer as the daffodils, crocuses and wood anemones take turns to bloom. There’s an ornamental lake, as well as facilities for football, basketball, tennis and swimming, at Bedford’s main public baths, Robinson Pool. Still the most commanding monument in Bedford, St Paul’s Church went up at the start of the 13th century, and has been altered many times over the last 800 years. There has probably been a Christian place of worship at this place since the 8th century and the reign of the Anglo-Saxon King Offa of Mercia. The BBC’s daily worship was broadcast from St Paul’s Church during the Second World War, along with the National Day of Prayer in 1941. John Bunyan preached at the church in 1656. In the 19th century almost all of the church’s architecture except for the nave was reconfigured, and a standout of the interior’s fittings are the rood screen by George Frederick Bodley and the altar by the Bromsgrove Guild of Applied Arts. The riverside in Bedford has a distinguished character, and this has much to do with the balustraded embankment built by the Victorians when the river was widened. In the town centre you can follow this path on the north bank, heading east, past the War Memorial garden, which was laid out after the First World War. The way is lined with old gaslights and in summer swans and rowers will drift past. The Bedford Rowing Club and Viking Kayak Club have produced several olympians , and organise events on the river during the summer. Take in the Suspension Bridge (1888), and the Ouse Bridge (1808) not far upstream. The modern Butterfly Bridge (1997) was designed by WilkinsonEyre, the firm behind the iconic Gateshead Millennium Bridge. This tranquil park opened next to the Embankment a decade after the Suspension Bridge was completed, so you can continue your walk in unbroken, landscaped greenery. Russell Park has children’s playgrounds, football pitches, tennis courts and a putting green for golfers who want to perfect their short game. There are also formal flowerbeds and herbaceous gardens, while the KIosk cafe opened in 2012 and has become a community favourite, preparing fair trade coffee, herbals tees, frappuccinos, paninis, sandwiches and homemade cakes. 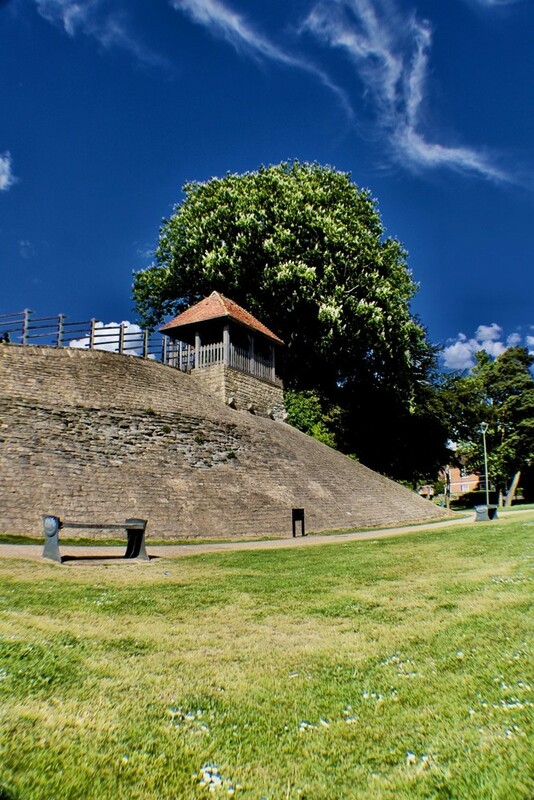 On the Embankment in the town centre is what’s left of Bedford Castle, a fortification constructed after the Norman Conquest, and with a short but eventful life. Ordered by Henry I in 1100, this stronghold witnessed conflict during the Anarchy of 1135-1153 and then during the First Barons’ War in the 1210s. The castle was the seat of the High Sheriffs of Buckinghamshire, and one of these, Falkes de Breauté, was put under an eight-week siege in 1224 after falling out with Henry III. This culminated with the castle’s complete destruction. But exciting remnant survive, like lime kilns and the foundations of the great hall, preserved with the mound as an archaeological park in the 2000s. 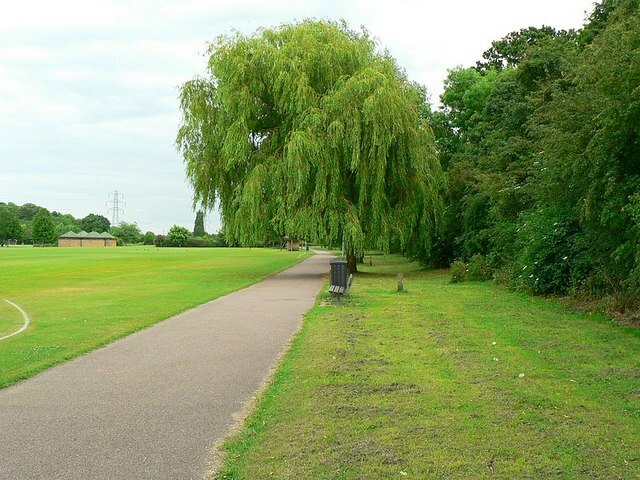 This Green Flag park is in a loop on the River Great Ouse, and is also bordered to the north by the river’s navigation. There’s a trace of industrial history on the canal at the old Cardington Lock. Up to the 1970s this mosaic of grassland woods and lakes was an industrial site for gravel extraction, although you’d never know it today. 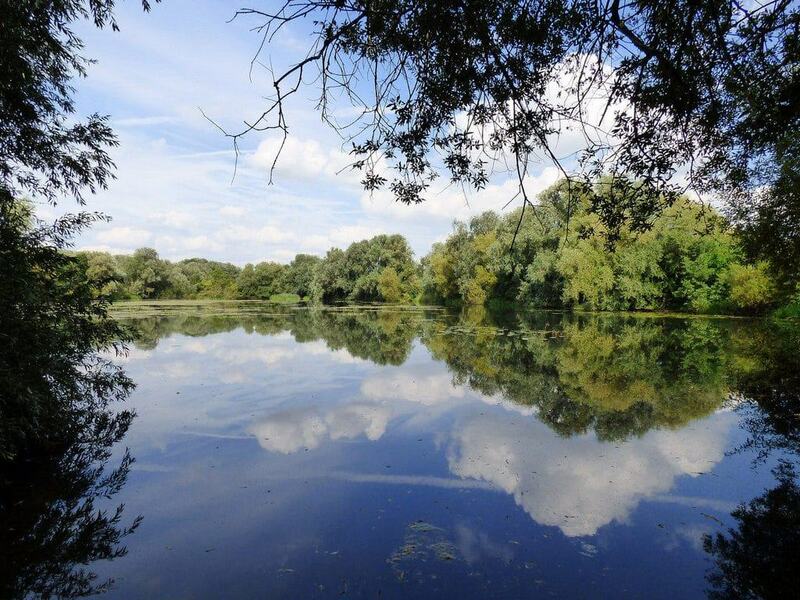 In 300 acres, the park centres on the Priory Lake, a hotspot for fishing and watersports like sailing, and also a picturesque backdrop for walks and bike rides. The former visitor centre by the water has been converted into a cafe, the Cloverdale Retreat, which has a terrace with a view across the lake. Round the corner from the Higgins is a museum for the Panacea Society at their former headquarters, a grand Victorian house named “Castleside”. The Panacea Society was formed in 1919 and adhered to the teachings of the “prophet” Joanna Southcott (1750-1814). The Panaceans believed that the apocalypse was night and that Bedford was the site of the Garden of Eden. After the religious group disbanded a charitable trust was set up, and opened this museum opened in 2013. The museum is open Thursday to Sunday and has preserved Victorian and early-20th-century interiors, including the wood-panelled meeting room and kitchen with a historic wood-burning stove. Exhibitions recall the Panacea Society’s fixation on the Book of Revelations, and nationwide propaganda campaigns in the 20th century urging the religious establishment to open Southcott’s sealed “box of prophecies”. 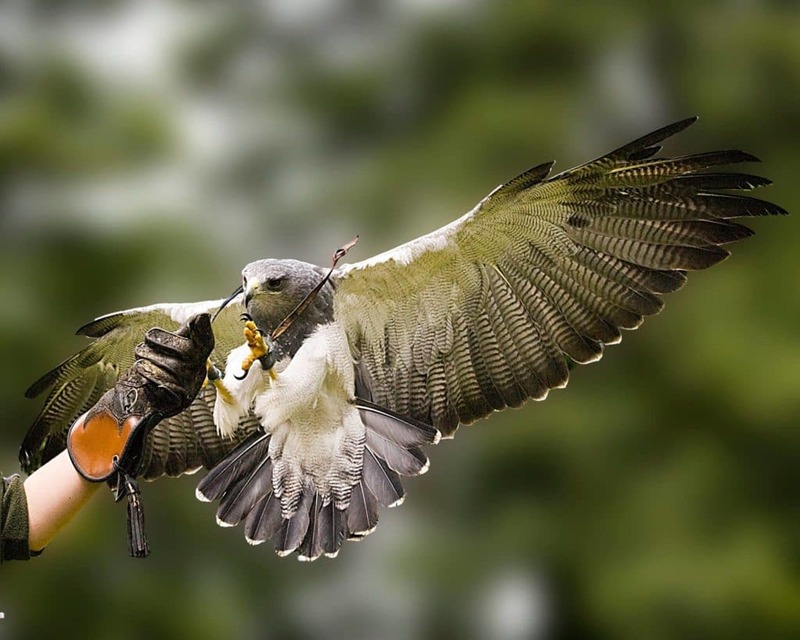 In the countryside a ten-minute drive from the city is an open farm with a big collection of birds of prey. These owls, eagles and falcons are among 200 birds at the farm, and there’s a timetable of activities allowing you to handle them and watch them in flight. Kids can take part in farm activities like milking cows, grooming horses, and will be able to handle rabbits, guinea pigs, hedgehogs and chicks. There are also alpacas and shire horses to meet, tractor rides and a “Critter Encounter” involving creepy crawlies and reptiles. 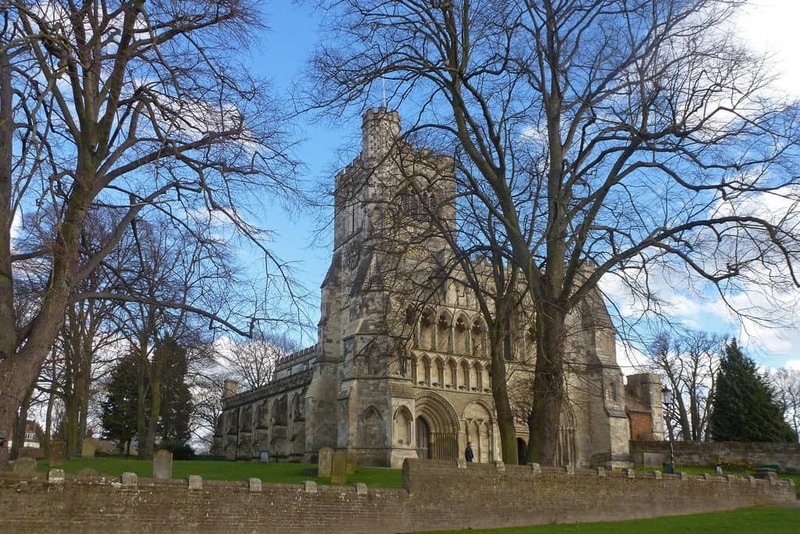 A place of worship for more than 1,000 years and once tied to the Augustinian Merton Priory in Surrey, St Peter’s Church was heavily altered in the 19th century but has lots of riveting indications of its great age. These can be seen in the tower, which is Saxon on origin and has an arch and doorway from before the Norman Conquest. In the church’s south porch there’s a Norman Romanesque doorway, which was actually brought here from a different church. In the chancel the font, priest’s door and windows all date to the 1200s and 1300s. In the north, where Bedford’s suburbs meet the open countryside, Mowsbury Park is a place for recreation for kids and grown-ups. There are three play areas here, as well as more sports pitches than any other park in the town. The park is adjacent to Mowsbury Golf Club, an 18-hole course in rolling parkland. By the entrance on Wentworth Drive is the Four Seasons Cafe, making treats like homemade cakes and milkshakes, along with square meals. The countryside to the southwest of Bedford is historically a brick-making area, and since the decline of this industry nature has been allowed to take over once more. The many old clay pits that pocked the landscape have become lakes, and incentives have been given to landowners to plant trees. The forest covers an enormous area, but the main public space is the 220-hectare Millennium Country Park, which was inaugurated in 2000. The park has a few of these lakes, a wetland system and developing woodland. 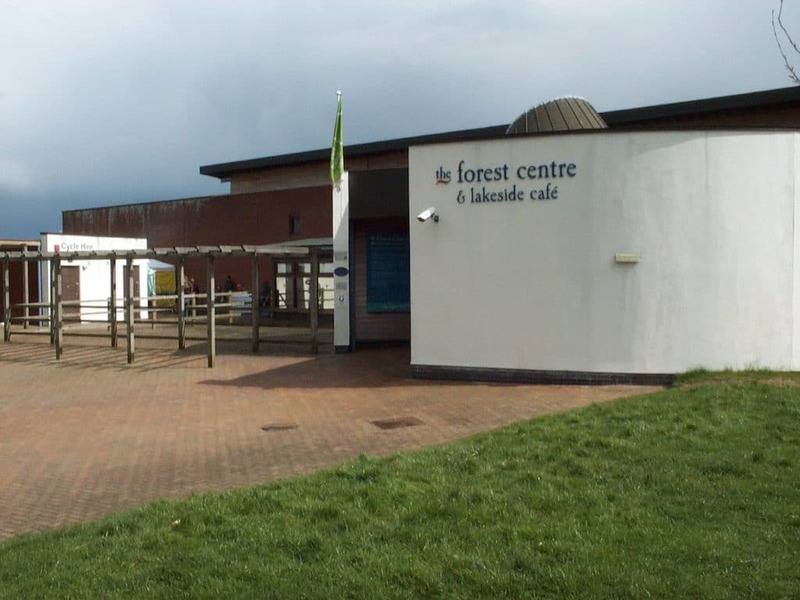 At the Forest Centre here you can hire a bike and follow the eight-kilometre track or get onto the long-distance National Route 51. Halfway between Bedford and the nearby town of Hitchin is a set of three miniature railways at the home of the Bedford Model Engineering Society. The society was formed in 1948 and in 1993 moved to its present location on the site of a former fruit farm. Barns were turned into wagon sheds and a miniature station “Haynes End” was set up. For the public, there are “Running Days” throughout the summer, with the first train departing Haynes End at 10:30 and the last service setting off at 15:45. 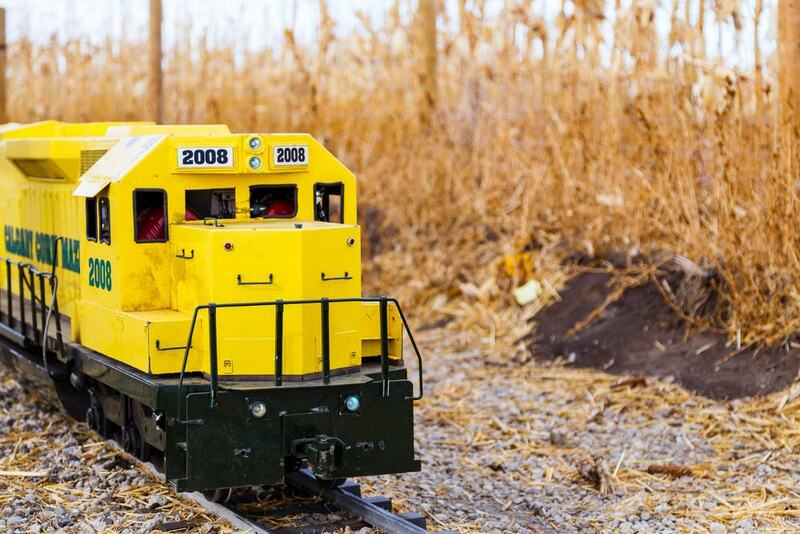 Each railway has a different gauge and the trains are pulled by steam, diesel and electric locomotives.